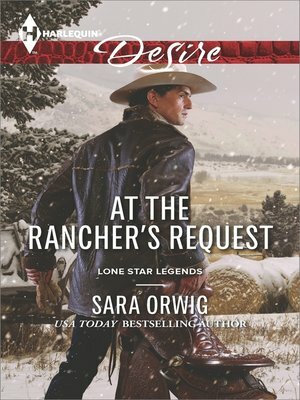 She's pregnant and snowbound with a hot Texan in this tale from USA TODAY bestselling author Sara Orwig! Pregnant, abandoned and stranded in a Texas blizzard, nurse Savannah Grayson is grateful when billionaire rancher Mike Calhoun rescues her. The widowed father offers shelter--and only shelter--at his vast ranch. Determined to never love another woman again, Mike tries to do the right thing and resist his attraction to his vulnerable guest. As they spend cold days building snowmen with his son and long nights talking and kissing by the fire, Mike fights the thaw of his heart...a battle he just might lose.